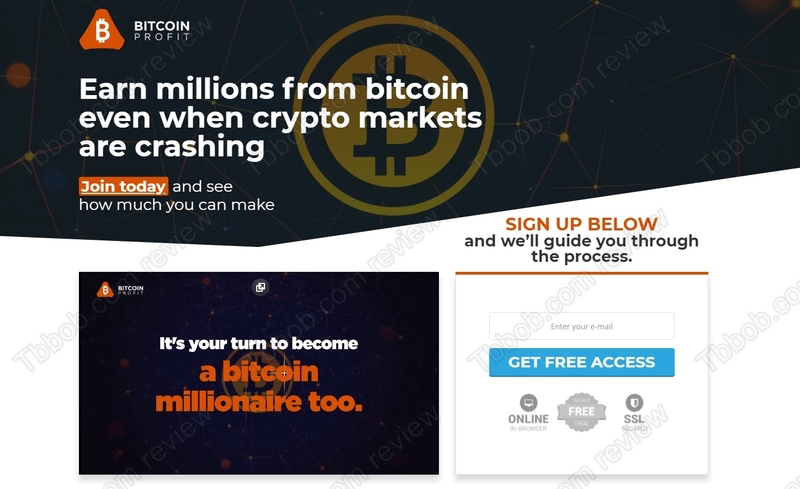 This review exposes the Bitcoin Profit (BTC Profit) scam. It a system designed to lose your money. It is presented by John Mayers. Mayers says Bitcoin Profit is a bitcoin trading system that can make you $436 per hour or $10,478 per day. Now you can get Bitcoin Profit without paying anything in advance, Mayers says he will take just 1% of your earnings as a fee. Does it sound too good to be true? It’s because it’s not true. Bitcoin Profit is in fact just one of the many scams that abuse cryptocurrencies to make people lose money. John Mayers is a fictitious person, real owners of the system remain hidden. On the Bitcoin Profit website you can see three videos with people endorsing the program, because they are allegedly making money with it. But they all are liars. They are paid actors providing fake reviews and testimonials. Anybody can hire them, see the proof on our picture. The trading software that is labeled Bitcoin Profit is in fact a known solution used by scammers only. 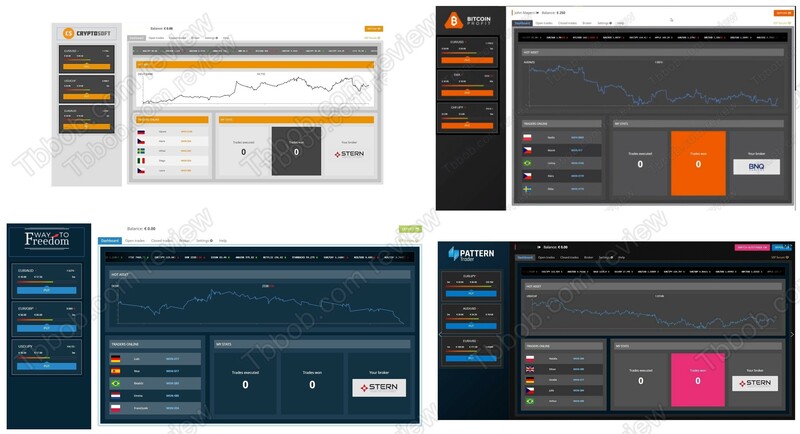 On our picture you will see examples of other scams based on this same app, like Crypto Soft, Pattern Trader or Way to Freedom. We get a lot of feedback about this trading software from real users, so we know it is losing money in real trading. The true and only aim of Bitcoin Profit is to make you sign up and deposit money with a shady broker like BNQ Capital or Glenmore Investments. The software won’t be activated until you do just that. The reason for this is that people who run this scam are getting paid by these brokers for referring new depositing clients. But those who deposit and let Bitcoin Profit trade with their money, will quickly lose it. Bitcoin Profit is an obvious scam that is made to lose your money with an unregulated broker. Stay away from it! If you are interested in trying to make money in bitcoin trading, start on a free demo with a regulated broker. You will see how it works and have the opportunity to learn to trade profitably without risking real money. Why when I googled Bitcoin Profit, https/cybermentors.org.uk. This site gives a review saying it is not a scam and gives a review explain their reasons why!!! Is this then another FAKE site ??? Yes, Cybermentors is one of many scam websites with fake reviews that endorse scams for money. I always thoroughly research a claim or a business for a couple of weeks before I invest in anything online in particular before I part with my hard earned cash and please remember the stock market bitcoin included is unstable particularly at the moment. No one can claim to make the money that John Mayers claims or to have a system that can predict and then invest your money for you so you never lose the truth is this kind of investment is high risk thats simple and John Mayers site is just a scam. Ive seen so many scams now that I can determine a scam in seconds theres so many online. Did bitcoin profit appear on dragons den ? or did i just get a fake ad on the daily mirror website.. It not a Daily Mirror website, it is just fake one. The website URL is mirror.co.uk-breaking.business-crypto.xyz not mirror.co.uk as you would expect. Yes,it is a scam. When something looks too good to be true, it MOST DEFINITELY is. I opened up the so called bbc.com page on two separate tabs. On one showing the bbc breaking news, there was an immediately noticeable spelling error. The real bbc.com would not publicise that way. Next I checked and compared the separate tabs the so called comments by those who’ve tried it. Completely identical comments, however by different people. Even comments by the so called account manager. Personally, I would have wished it not a scam as I’m direly in need of money to avoid being homeless with my family. However, this is apparently a scam. Also, you know when something is a scam if you can’t “read more comments” or comment yourself but get redirected to the sign up page. I’ve been looking at one with the bluelexus trading. They are based in Bulgaria. a picture of your driving licence ? To verify your identity. But personally I would not send this kind of document a company that is not regulated. All trading sites ask for passport/bills/driving licenses. It’s actually because of trading regulations. Brokers are only allowed to deal with real people. They’re not allowed to do business with anonymous profiles, or fake profiles, because of anti-money laundering laws. But you should give your personal info to regulated companies only, otherwise your run the risk of identity abuse. Hello, I cannot find anything about Maintrading Center, their site seems not to be working. There is a lot of recovery scam and I cannot see how Maintrading Center could recover your money. If you made your deposit with a credit card, ask your bank for a chargeback.